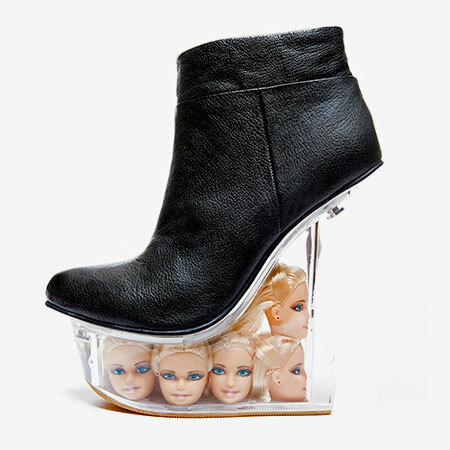 Eye-catching shoes designed by Jeffrey Campbell feature platforms made out of Barbie doll heads. Barbie doll head platform shoes will help you stand out and get noticed. This is for girls that don’t like Barbie, like at all!